I first met sedgwickDave at the Easter at Home event During Easter 2011. My third or fourth event and the first time speaking to anyone from the caching world. Dave was a softly spoken guy and we hit it off straight away, mainly I think because we lived very close to each other. While not a prolific hider, his caches are of a good quality and definitely follow the Morsix rules. The first of his caches I did in 2011 was slide and seek, a traditional first hide. 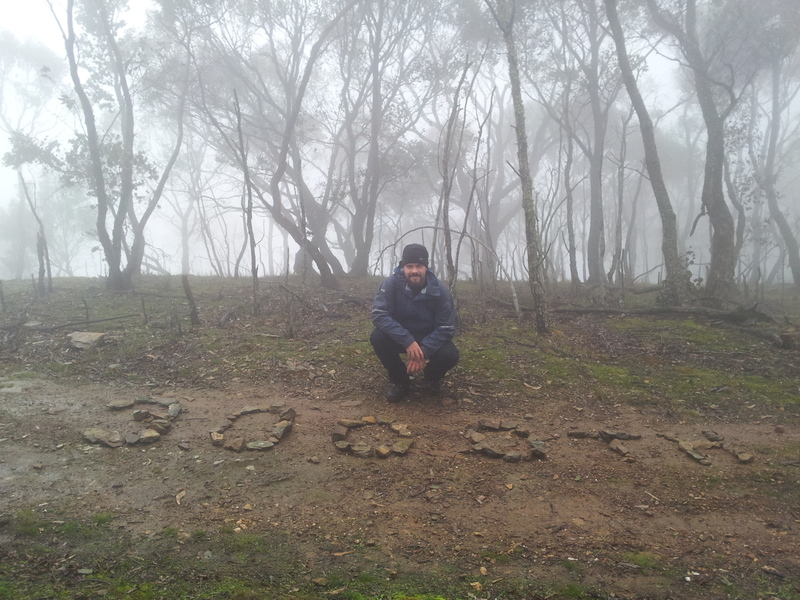 He followed that up with a trio of caches in 2013 on Lilydale lake which I was lucky enough to get FTF on all three. I was challenged by his next hide, the Victorian LGA Polygon challenge as it took me to all corners of the state on a big road trip in January. An awesome time was had. His latest hide, Archimedes starts off with quite a good puzzle followed by ….. you will have to find it for yourself. Dave is an extremely focused and enthusiastic individual who puts his mind to something and goes full throttle. A fine example was when he started to play the other location based games Munzee and Ingress. He leveled up in both of these games very quickly. Lucky for us all, he came back to caching as his main passion and has many more Ideas for new caches to come. Dave’s puzzle solving abilities are up there with the best, and without his help and hints, many a puzzle would have gone unsolved and unfound for me. Dave and I still cache regularly today and our cache runs are always memorable. One of the best memories was our 3000th find which with some careful planning, we managed to find at the same cache on the same day. Next Next post: Event Published!